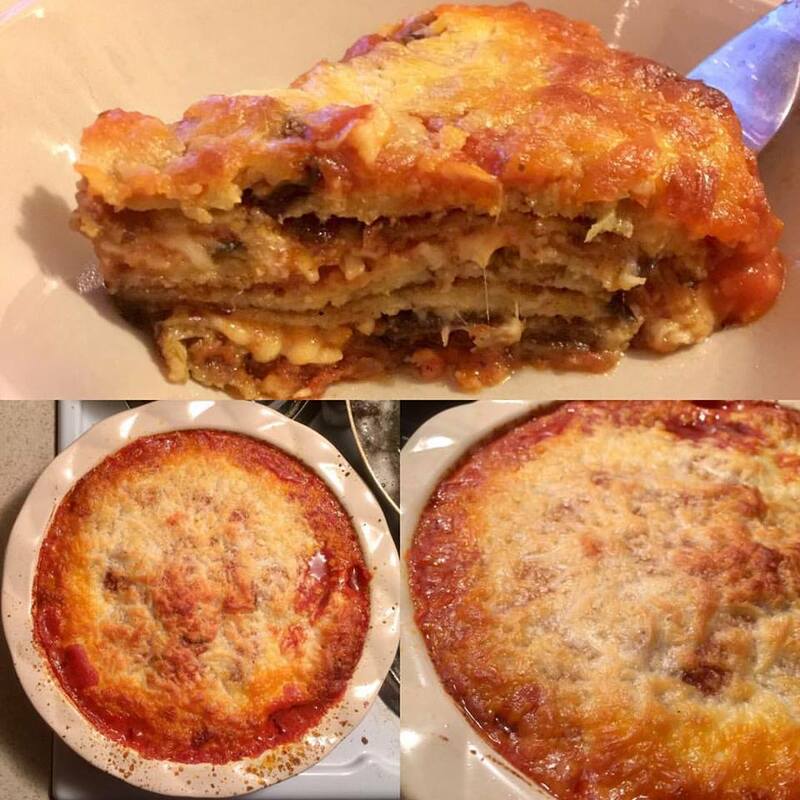 Eggplants are a family favorite – and this recipe, taught to me by my Mamma, is a traditional Calabrese style for Eggplant Parmigiana. Over the years, I’ve made the recipe my own (since we know Italian mothers never have recipe measurements). I can’t get it exactly like Mamma Fuda, but it’s pretty damn close. This is a great recipe to make with family and friends – an interactive meal where everyone has a role, all of the components come together, and you spend fun, quality time with those you love (while eating delicious authentic Italian food). I hope you find the recipe easy to follow and the parmigiana delicious. If you make it, I’d love to hear what you think! Please share and comment below. Start the sauce. Begin by blending the chopped tomatoes until smooth. In a medium sauce pan, heat 2 tablespoons extra-virgin olive oil over medium heat and add the garlic. Sauté for several minutes, careful to not burn the garlic. It should be translucent and tender. Add the tomato sauce to the pan. Stir in sugar, salt, and black pepper. Allow to simmer over medium heat while preparing the eggplant. Prep the eggplant. Cut the eggplant into ¼” round slices. For a large eggplant, half should yield approximately 15 – 20 slices (which is enough for this recipe). Lay onto a paper towel to absorb excess moisture. In a small bowl, beat the eggs. In another small bowl, mix together the bread crumbs, oregano, and parmesan. Dip each slice of eggplant into the egg mixture then coat thoroughly in the breadcrumbs. Lay onto a paper towel lined cookie sheet (do not overlap the eggplant slices). Add the canola oil to the frying pan and heat on high until a bread crumb sizzles and rises to the top. Fry the eggplant slices until golden brown; layer in between paper towels on plate to absorb excess oil. Assemble the parmigiana. Preheat the oven to 350 F. Layer the bottom of the pie dish with sauce. Add a layer of eggplant slices, sprinkle mozzarella and grated parmesan (use about ¼ per layer), add more sauce, and repeat the layers until you have used up all the eggplant slices. Finish the top with a layer of sauce and remaining mozzarella and parmesan. Bake for 20 to 25 minutes or until the mozzarella is melted and golden brown. Allow to sit for 5 to 10 minutes before serving (it will be piping hot!). Buon apetito! Next Post: How to soft boil an egg.